Home / Archive by category "Inflatable Archways"
Get Spring Started Early with Inflatable 3D Shape Archways! Start Spring right in inflatables that will wow the crowds! 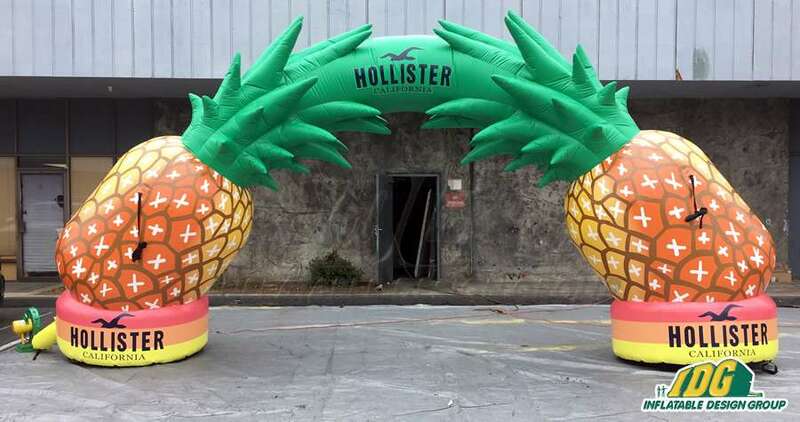 Inflatable 3D Shape Archways are a great way to show off your event while keeping things fun. Archways are great for just about any occasion. From Fun Runs to Festivals, greet your guests in style with fun 3D shapes. We can turn anything into a 3D shape. Whether it is your company mascot or logo, we’ll make sure you POP with Inflatable 3D shape Archways. Make your business or event stand out this spring with Inflatable Design Group. Now is the best time to get your inflatable archway! March is here which means warm weather is right around the corner. That means plenty of outdoor activities that need fun entryways. 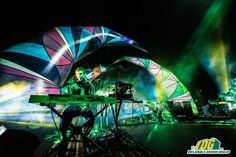 If you want your very own inflatable 3D shape archway at your next event you’ll need to act fast. Our inflatables are made-to-order which means we don’t start production until you place an order. This is because every single one of our inflatable are made customized to our clients needs. We have made a variety of 3D shapes in the past, from baseballs to dog collars we can turn your idea into the perfect inflatable! Draw people to your next event with exciting inflatable archways. These are a great way to grab people’s attention while also advertising your brand! 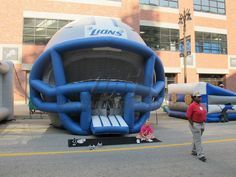 Increase your visibility at just about any event with Inflatable Design Group. 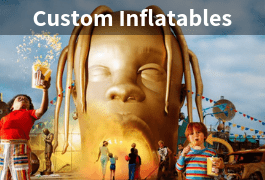 With a variety of customization options, we make your inflatable to your exact specification. So put yourself out there with an inflatable that will turn heads. 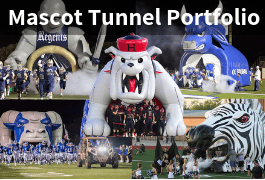 Want to see all of the inflatable archways we have done in the past? Take a look at our website here or send us an email to info@inflatabledesigngroup.com for more information. 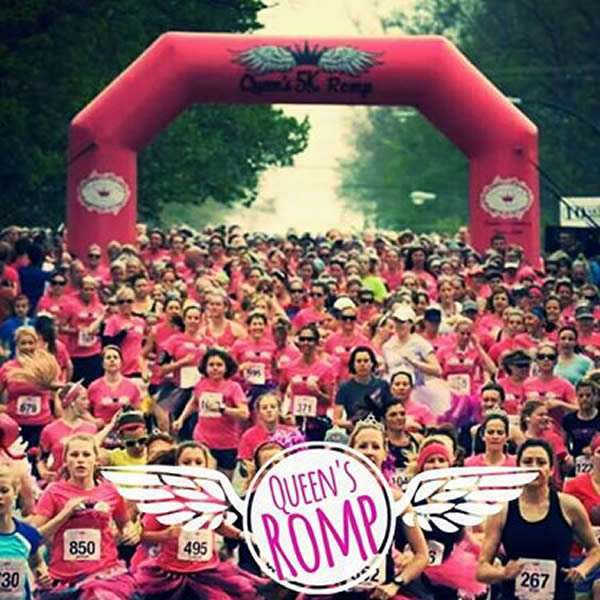 Summer is the perfect time for any 5k race with incredible inflatable archways for starting lines! An inflatable archway creates the best run in the city! The summer sun provides the perfect atmosphere for a 5k. An inflatable from Inflatable Design Group provides the keys to having the best looking run this summer. Races and runs bring in crowds from all over the city, state and nation to join in on the fitness fun. Race day is the ultimate payoff following months of training. There is no better feeling than successfully crossing the finish line and completing your race! 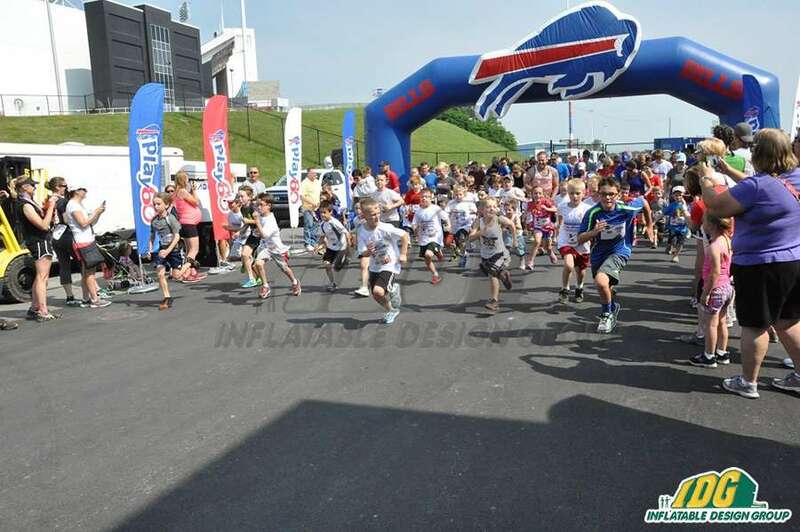 Inflatable archways are the best accessory for a start/finish line at any race this summer! 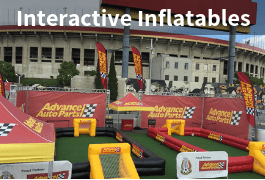 Customize guest experiences with an inflatable designed specifically for your event. Grab everyone’s attention with your own colorful custom inflatable archway. Feature your brand or logo directly on the inflatable archway or represent your sponsors with their logos on the inflatable. Inflatable archways will stand out at your event towering over each wave as they begin the race and finish! Shape your archway how you want from angular archways to tubular and so many more! Advertising products and future races easily with inflatable product replicas. 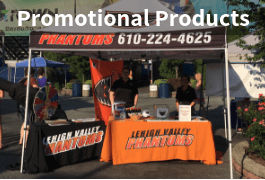 Sponsors can showcase products and giveaways under the shade from a custom vendor tent. Inflatable bottle replicas are great markers to inform runners of where refreshments can be found. 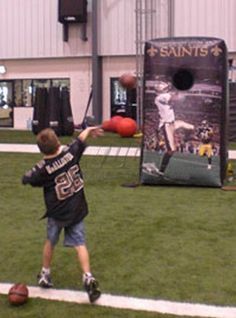 Take your logo to the next level and design a huge custom inflatable logo! We love to create everything and anything to your event all that it can be. 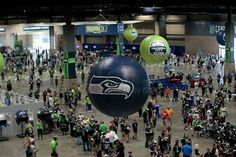 Inflatable logos, archways and replicas provide perfect finisher’s photo ops to be shared all over social media. So, there is no better way to spread the word about your race. Our inflatable will leave the crowds in awe and they can take home awesome memories from race day. The possibilities for your race are limitless with the help of Inflatable Design Group! So, call now to start your race day transformation! 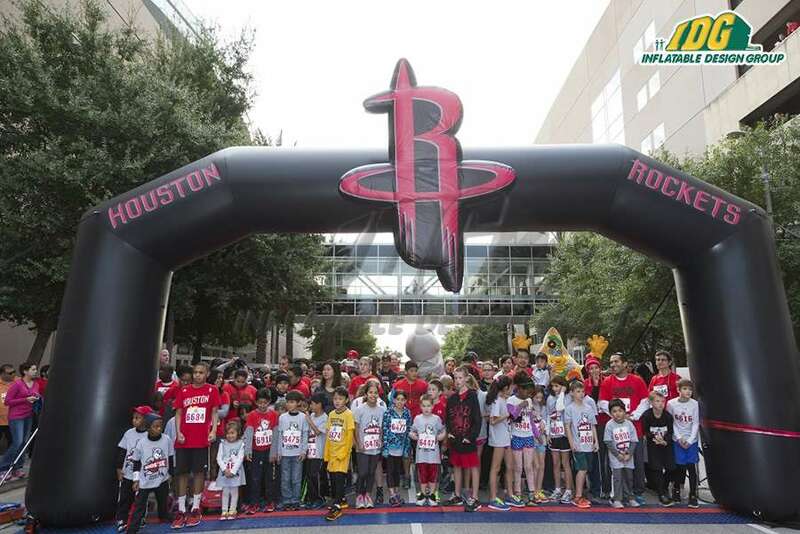 Ready to take on a 5K race with an inflatable entrance way? Inflatable Entrance Way & Archway Fun! An inflatable entrance way is your go to 5k accessory! Get moving for the spring season as many 5K races will be signing up participants. 5K races can attract people of all ages and athletic abilities. 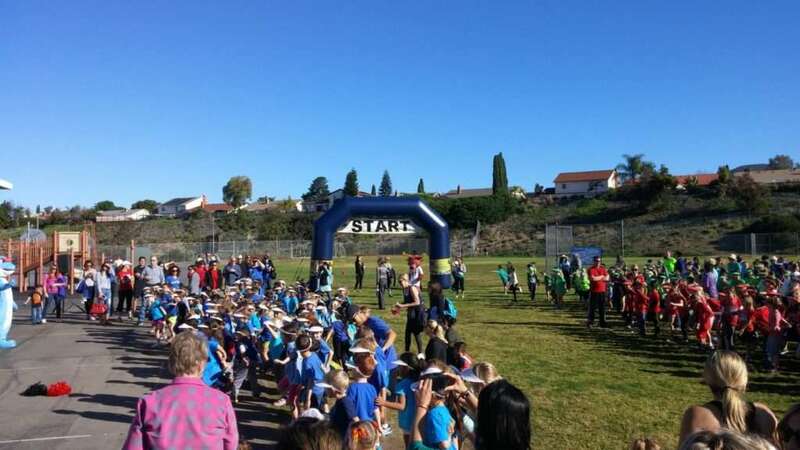 Inflatable archways are very similar in fashion because we can manufacture an awesome archway for any budget, from a school jog a thon to a city wide 5K race. We are here to help you design something that will fit your budget and your event. 5K inflatable archways are easy to use! The true beauty of something that can inflate and look amazing in a matter of minutes! Inflate excitement with your next 5K race! 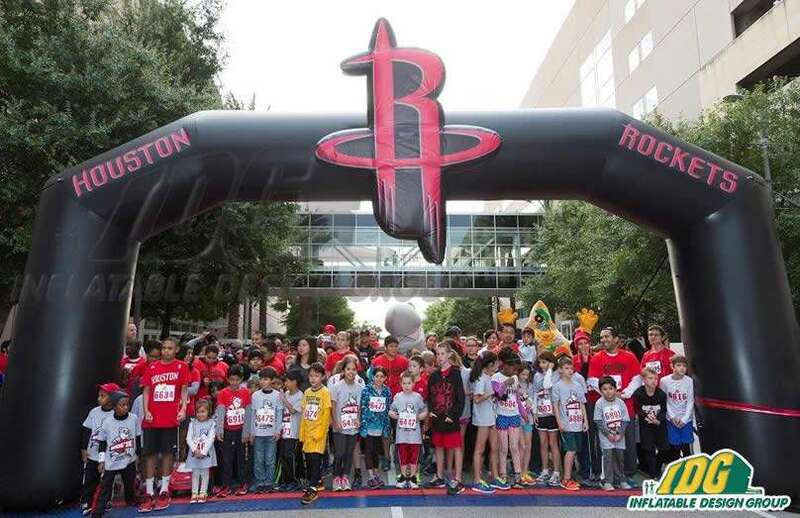 See you at the finish line……..
Whatever your event, inflatable custom arches will draw attention and evoke a sense of credibility and professionalism to your organization. 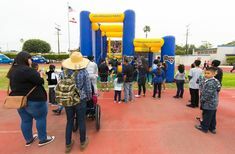 So, for marathons or charity runs/walks, inflatable entrance ways make the perfect recognizable starting line, visible from a distance with the color and flair necessary to energize the participants. 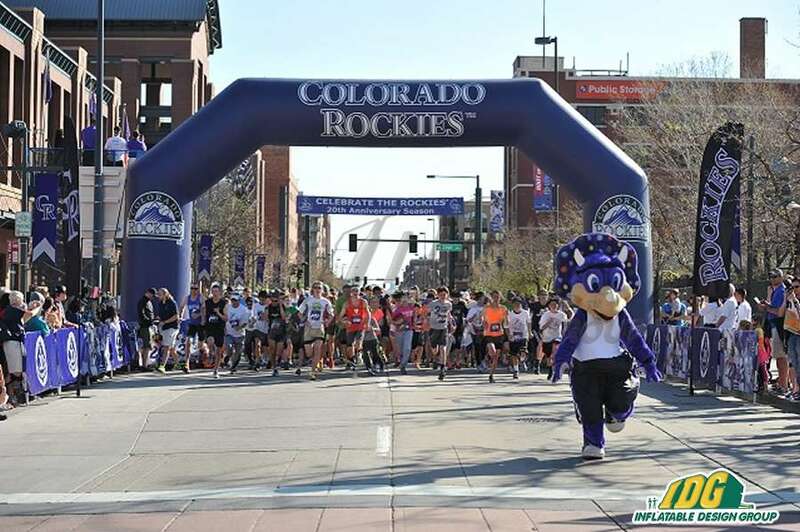 Give race competitors the grandiose finish line and photo opportunity they deserve with an inflatable archway commemorating their accomplishment. Sporting events? 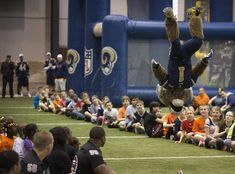 Rev up the crowd as the players make their grand entrance by running through a custom archway emblazoned with the team mascot. Community events, county fairs, music festivals? 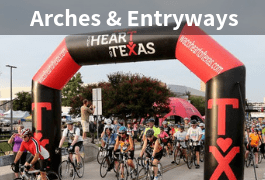 Inflatable arches help participants locate important destinations like merchandise, ticket, or registration booths. In addition, they can help corral attendees through high traffic areas. 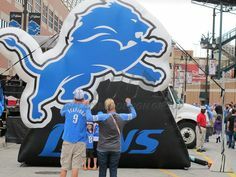 Custom inflatable archways can be designed and branded in whatever shape or size fits your advertising or event needs! So, the possibilities are limitless! Choose a recognizable product from a sponsor as the shape of your custom archway or choose an unbranded archway to make room for multiple sponsors. Either way, detachable banners can accommodate changing sponsorship from year to year. Inflatable Entryways are lightweight, easy to transport, and easy to set-up. They tether to the ground for added stability and security on windy days. In addition, their durability ensures their lasting use year after year. 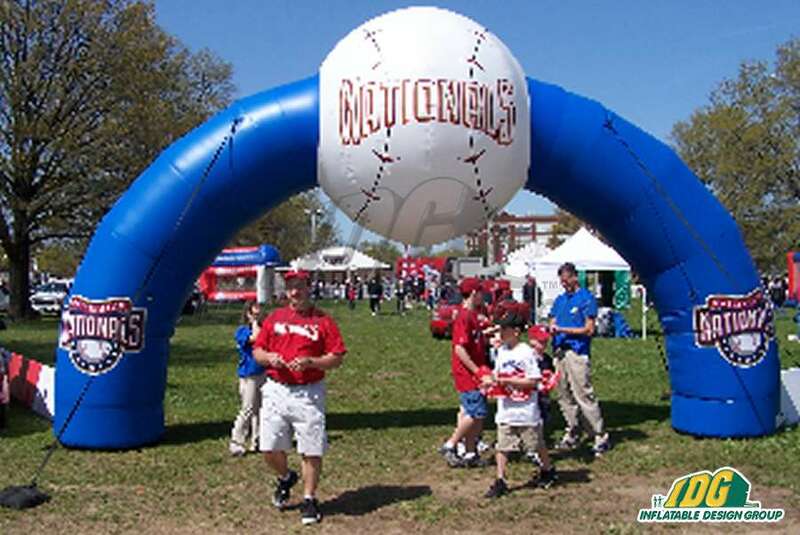 Inflatable archways not only function as the gateway or finish line to your event. 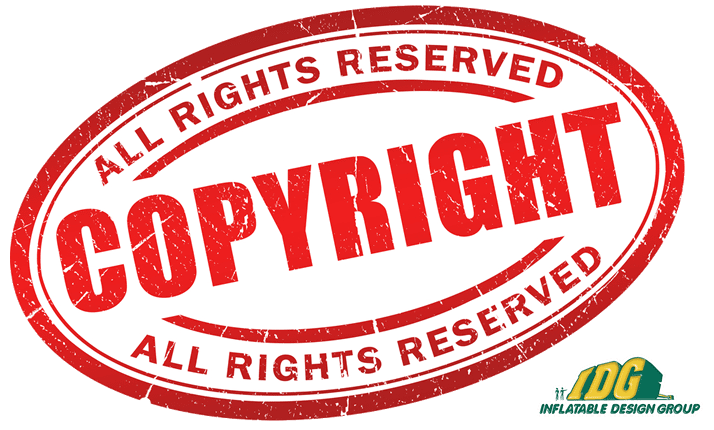 They are often the first and last image seen by participants and the perfect, low-cost way to advertise or pay tribute to your sponsors. But, you can still leave a professional yet attention-grabbing and lasting impression. 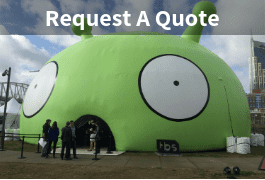 So, call Inflatable Design Group now to request a quote! 619-596-6100. Inflatable Custom Archways Add Excitement to Every Event! Ready, Set, Go with Inflatable Custom Archways! 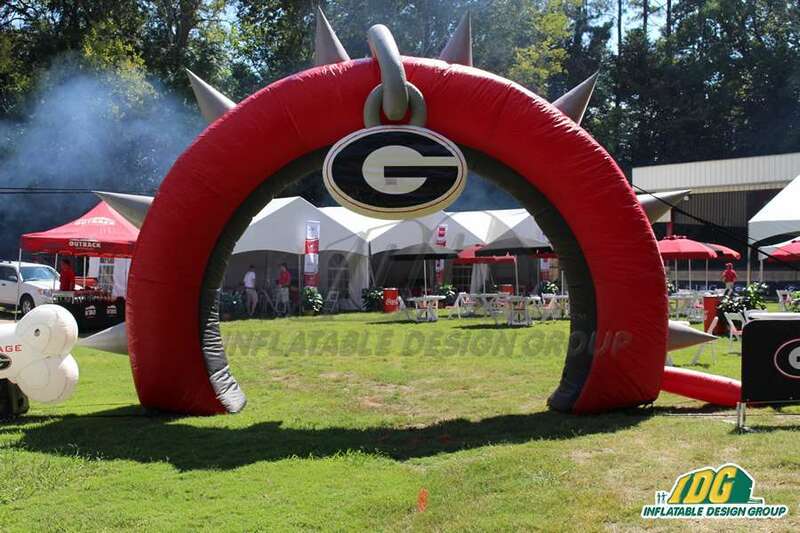 Inflatable custom archways will take your event to the next level! Pump up the crowds with amazing sights of inflatables and custom designed archways. Our team will make your inflatable dreams come true! So, take a look at the great work we have done in the past! This Angular archway was used at Dailard Elementary School for their Start/Finish line. 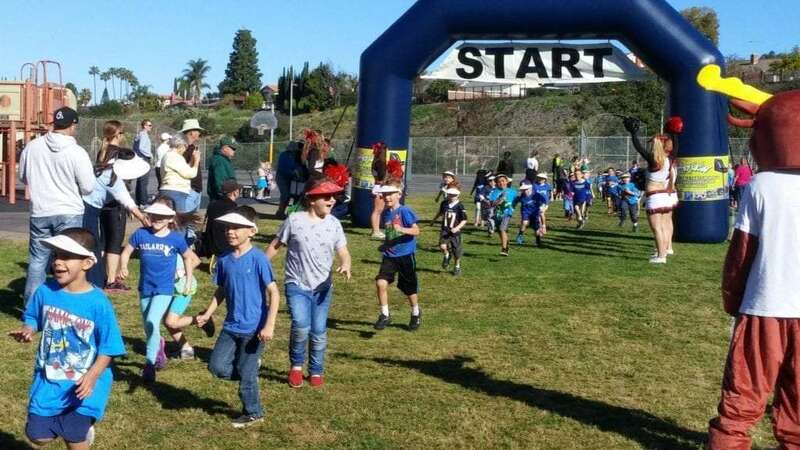 What a way to kick off the yearly Jog-A-Thon! 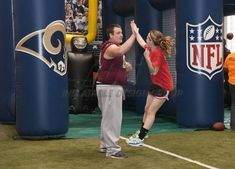 The kids were so excited to run under the inflatable archway! 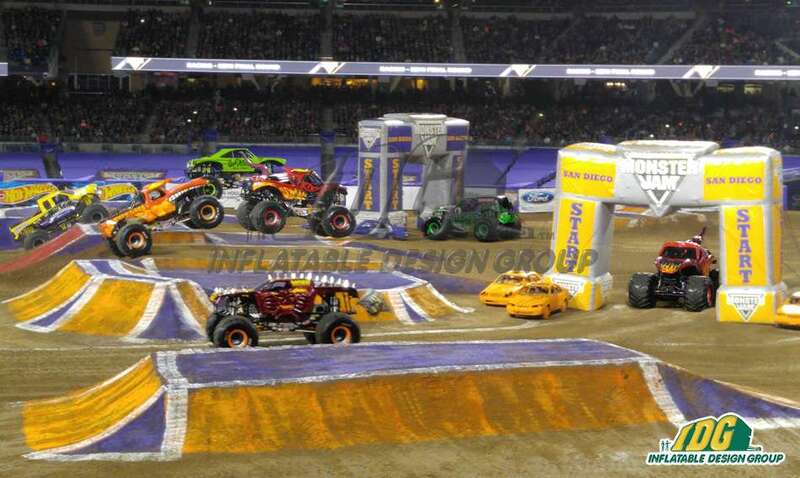 Inflatable Custom Archways can make a huge impact at any racing events! Leave a lasting impression on all the runner and attendees. Not to mention the incredible photo opportunities running under the archways! So, start your inflatable journey with Inflatable Design Group today!